. : November 09, 2013 :. This is actually not our choice for this week. It just happens that after we are back from our photoshoot session, the place that we wants to visit is not open yet until an hour later. Desperate to find one, we do a quick search and voila.. Club Street Social @ Gemmill Lane. This is the only cafe in an area full of Italian and Spanish restaurants and wine bars. The place is not very big, probably only hold about 30 guests at max. We start off with a nice cup of hot chocolate. There are not many food selection in the menu and we go for prosciutto panini and scrambled eggs with toast. Both are quite okay, although I must say I really like the scrambled eggs. A blueberry jam to spread over the toast would make it a better dish in my opinion.
.: November 01, 2013 :. Next on the list.. The Coastal Settlement @ Netheravon Road. The cafe location is not easy to reach. It involves taking half-an-hour MRT ride and another 10-minute taxi ride. When we reach there, at first look, it looks like an abandon workshop. Little that we both know, behind that is a very well decorated cafe, this time with nice food. The entrance is at the side and upon entering, we are greeted by the look of an 80's cafe. Everything in this cafe is from my parents' era. The furniture, vespa, TV set, camera, water flask, telephone, radio are some of the collection from the 80's on display here. Even the music playing is from my childhood. I guess a lot of us are still have fond memories of our childhood and this makes this cafe great. It's like revisiting your past, but with great food. Being hungry after our hour-long journey here, we order the 2 recommended dishes from the menu, Cheese Burger and Big Toast. I can tell you that this time the food is great. Simple dishes executed perfectly.
.: October 26, 2013 :. Today, we decide to give it a go at one of the 2 cafes suggested by our maternity photographer. Since we have a hospital room tour later on that afternoon, we choose the one with the closer proximity to Thomson Medical Center, L'etoile Cafe @ Owen Road. The cafe is rather small, but the decor is nice with colorful sofa, some nice hand-made cards being displayed at one of the corner, bookshelf at the other corner and paintings hanging on the wall, which is typical Japan-style cafe. Unfortunately, the nice decor of the cafe is not complimented by the food. The food is rather tasteless and I'm not even a very demanding person when it comes to breakfast. I am thinking probably they just mess it up this morning, but on my way to the cashier to make the payment, I see a feedback form from another patron saying that the food is tasteless too. It should be a great place to enjoy relaxing Saturday / Sunday morning with friends, if only they can improve the quality of their food. What a pity. 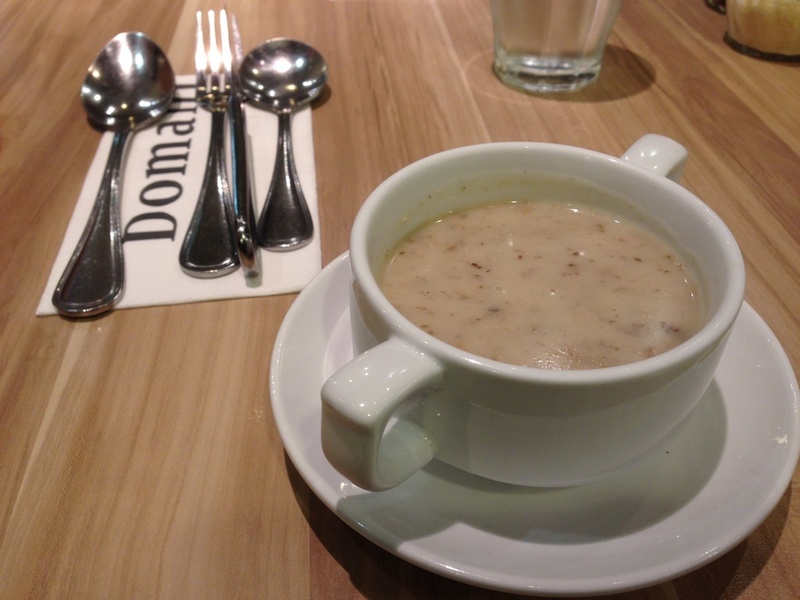 Domani is located in Takashimaya and Fred wanted to give it a try since months ago. Honestly I was a bit reluctant to go there coz for me, having brunch or breakfast or a cup of coffee is all about location and the ambience *well, of course taste being the number one* and Domani is inside a shopping centre. I don't mind going there for a proper lunch or dinner, just not the ideal place for me to have brunch, anyway, we were there and the food was nothing to brag about. It was okay. Just okay.
.: September 28, 2013 :. Located behind the Sculpture Square, this cafe is not visible from the street and yet, when we came just before lunch time, the queue had already formed. 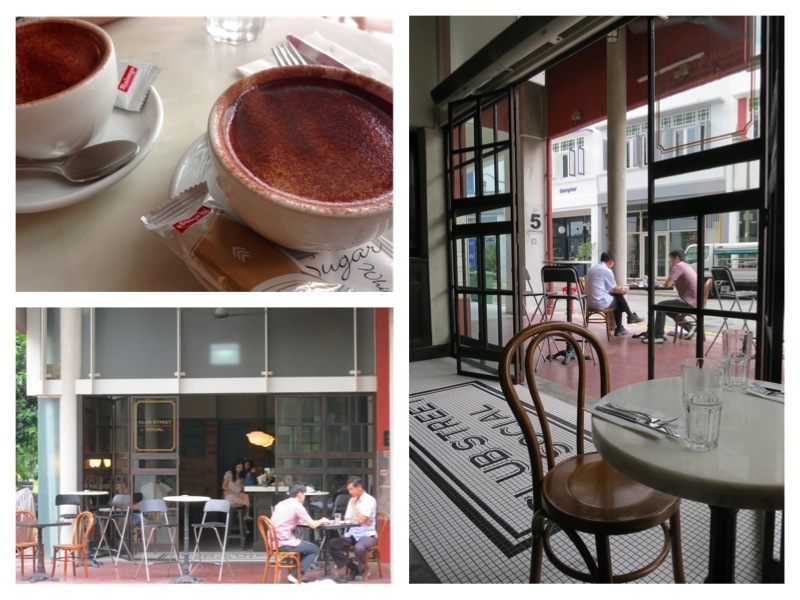 Artichoke is a cafe offering Turkish food and there is a small display of various kinds of baklava outside. We got a table outside at the al fresco dining area and it felt like eating in a home backyard, so homey. I ordered Eggs Shakshouka (picture below). Those breads were divine! And definitely loved the salad on top, the yoghurt dressing was sour and so freshening. Eggs Shakshouka is basically eggs poached in tomato sauce together with braised lamb. Fred ordered omelette with huge slab of glazed thick bacon. The bacon... the sweetness from the glaze mixed with slightly chewy yet tender bacon... two thumbs up!!! We tasted our first baklavas before our order came. Baklava is a sweet dish whose appearance reminds me of layered pastry but is much much harder and filled with sweetened and sticky peanuts. It was yummy but after the first baklava, I couldn't handle another one. It was just too sweet. Well overall, we like this place and will be coming back again. It's quiet and feels like home with lots of good food. And the plus point be the Turkish dish. 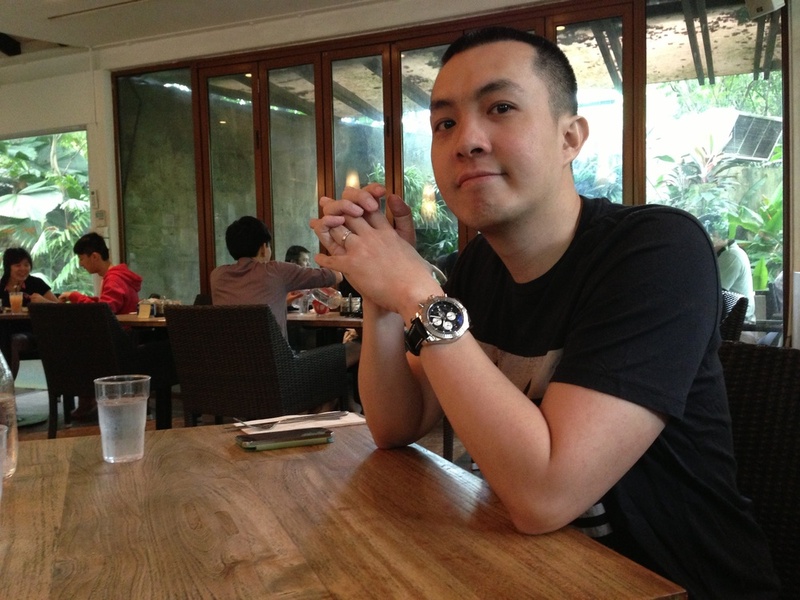 Yeah we're back at The Prive for this week's brunch, this time together with our friends. I wanted to try spaghetti but too bad we were there too early and the spaghetti wasn't served before 11.30 AM. So I settled with omelette instead while hubby ordered the big breakfast platter. It was a cloudy, humid morning, and we were thankful it wasn't raining so we could sit outside while enjoying the marina view.
.: September 14, 2013 :. Located at the basement of Takashimaya, we passed by Pique Nique everytime we are at Takashimaya but only this week we planned to dine in. Well, do we love the food? I liked what I ordered, mushroom spaghetti. But then again, it was spaghetti. How much can you screw up cooking a really awful spaghetti? Fred ordered a Swiss Shrooms Burger and he too said it was okay. Not something out-of-this-world delicious. A cool Saturday morning after a blessed rain over night. 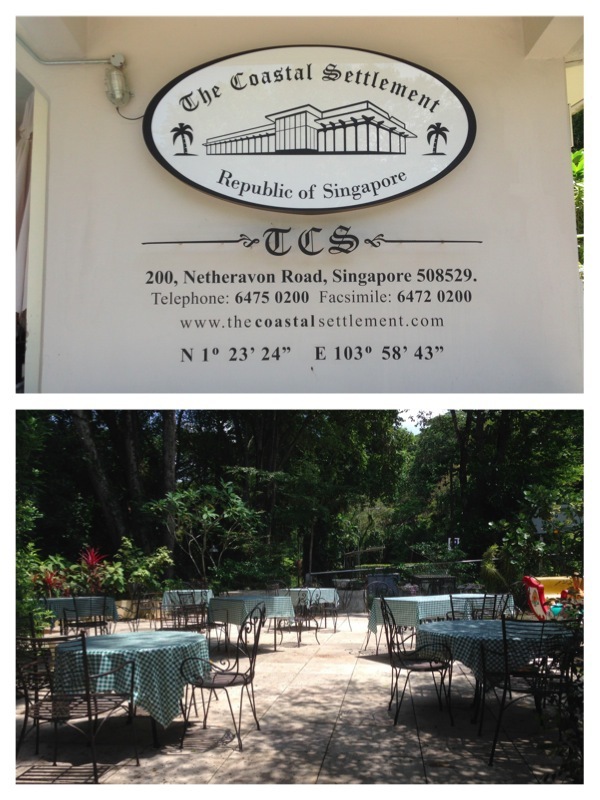 We headed to Canopy, located in the middle of Bishan park to have brunch before our doctor appointment. Love the place, surrounded by trees and the food were good as well. After brunch, we walked around the park and saw two couples taking their pre-wed photo shoot. So followed suit, we did take our maternity photo too haha.
.: August 24, 2013 :. What a tiring day today for this prego lady. Me and Fred started our Saturday with our usual routine, swimming followed by none other than the brunch! The weather was hot, hot, hot and that made me feel more tired than usual. 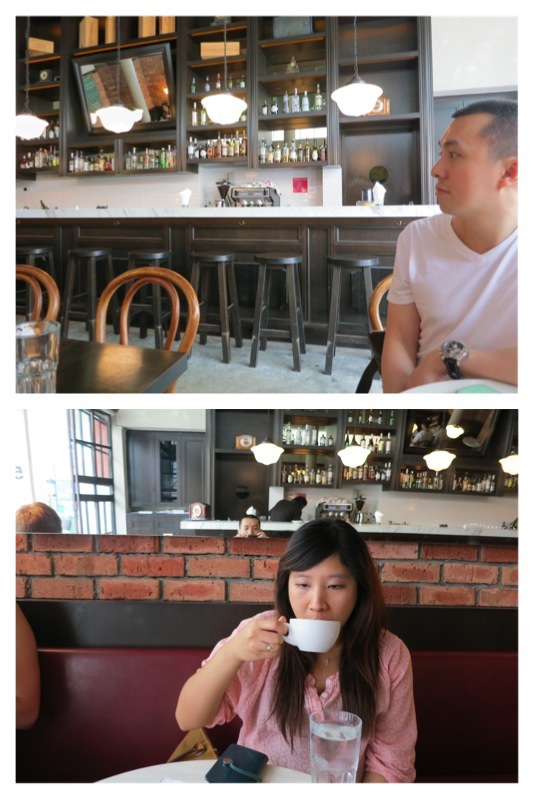 Nevertheless, that didn't stop us from having brunch at a secluded area in the west. 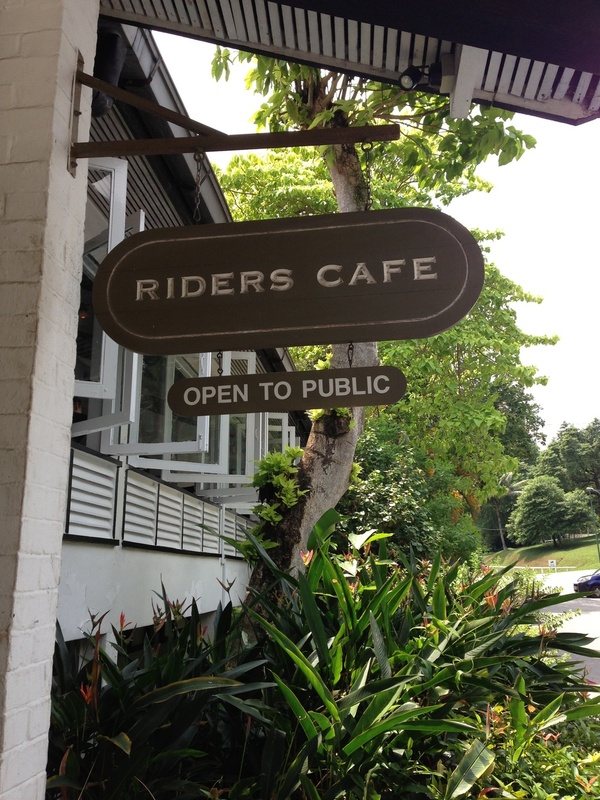 This place is a place for horse riding fans and the name of the cafe matches perfectly well, Riders Cafe. We didn't get a table straight away and were asked to wait for close to an hour. So we killed time by doing our week-23 maternity photo shoot and ordered some chilled drinks at next-door cafe (Marmalade Pantry Cafe). From where we sat, we could see the horse stall and the whole stretch of green lawn, and it felt really nice, like being in a village. 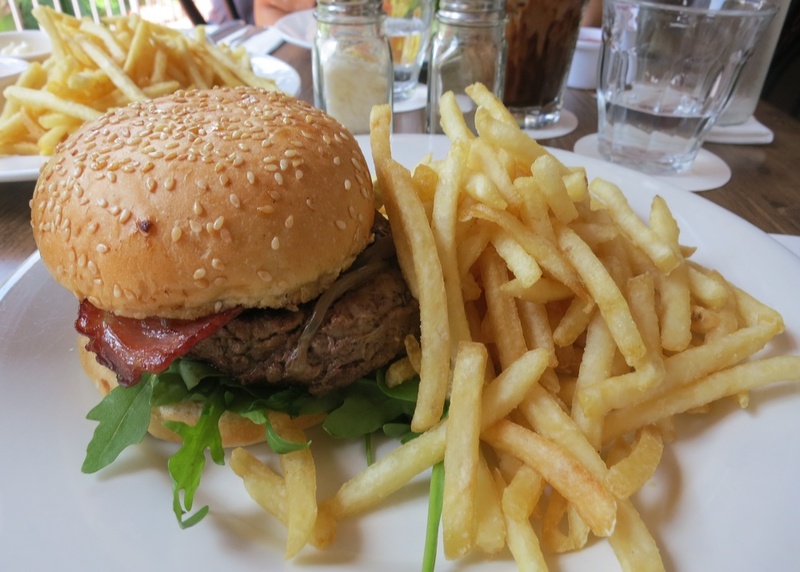 We love the food as well although personally, I was a bit disappointed with the truffle fries. I mean, I expected homemade fries not the what-I-suspected-to-be-instant fries.